The LaughJohnLaugh project with the Irish songwriter John Munnelly has existed since 2008 winning an ASCAP award on the way for the quality of songwriting. The band has developed and grown organically since then and in the last two and half years got a solid core of 4 members consisting of a rhythm section and female vocals with a sometimes cast of other musicians on accordion/banjo/mandolin depending on show requirements or material to be covered. John met the drummer on a train 3 years ago and immediately began a friendship over their mutual love of the Carribbean, the bass player was recruited online from an ad 2 years ago and says “ I loved Irish music, so when I saw an opportunity to do it,” he said, "Yes, please." 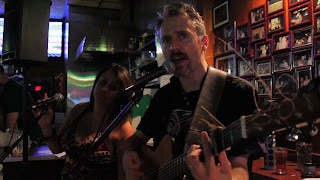 LaughJohnLaugh Band in action as a Duo in the Irish Haven Bar, Sunset Park Brooklyn. 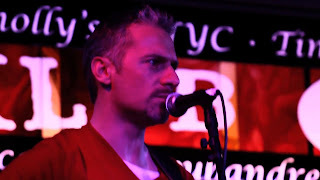 My personal John Munnelly review from the other side of the mic-stand This is a fine bar that I love playing in with guaranteed fun. It has great staff (Matt & Mike) and comes with an eclectic mix of friendly cool patrons of all dimensions, ages and class with a wholesome Irish flavor. Google Docs Cursor Misplaced/Misaligned in Google Docs Spreadsheets Fix: As part of my public service commitment and because Google is too busy searching the searches I'm searching for to bother to fix it I offer it here. Cursor alignment is totally off from where its typing. So when you type in one cell a different cell appears highlighted. COnfusing to work and type in. "Together for Christmas is truly a gift and a celebration of music and merriement"
"The sequencing of the cd is really masterful, moving from mood to mood so seamlessly that it would be easy to let it play over and over again." "Everyone’s style stands up. The range of artistry and genre covered by the artists who contributed their talents in this release are wide. You will enjoy it!"